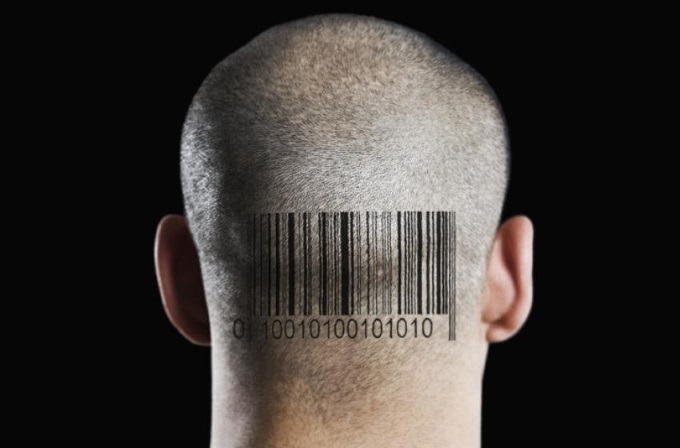 #SmallChange: Have you ever seen a CEO with a Human Capital Asset barcode? I am writing a book. It’s called Small Change: how to work, lead and follow in the 21st. Century. I will be publishing sections as blogs as I write it. I would be grateful for comments, questions and feedback as I proceed. Below is a draft of Chapter 1, Part 1. You can see earlier drafts on my blog or LinkedIn Pulse. Chapter 1: Have you ever seen a CEO with a Human Capital Asset barcode? People don’t see themselves as human capital assets. They just don’t. No amount of management theory will change that fact. Working people don’t buy into this concept. And if businesses continue to treat people as if they own them, they shouldn’t be surprised that they are not getting the best from them. The concept also has no basis in reality. You can’t put people on a balance sheet. They’re not even intangible assets, like Goodwill. Ask any accountant when they last scanned the barcode (sic) of a CEO or any employee, for valuation purposes. Never. I once asked a seminar full of human resources directors, many of them from FTSE 100 companies, to “up hands if they loved being human capital assets”. No hands. In all of my thirty or so years in business, I never heard a CEO describe himself or herself as a human capital asset, or resource for that matter. But I have heard them describe their workforce as such. Whether I like it or not, these concepts have stuck, albeit uncomfortably. It is unrealistic to suggest that somehow, overnight, all the art and science of Human Resources and Human Capital Asset Management can and or should be transformed or eliminated. HR and HCM practitioners and writers have made an enormously positive contribution to business. Unfairly maligned, they are not the problem. They are victims of “a fudge”. I know that in the USA this expression has a different meaning. I’m using it in the English sense. The fudge is that many CEOs fail to confront the awesomely difficult task of creating an environment in which people thrive. Some CEOs are not up to that task. And they know it. I have sympathy with them. But instead of confronting their difficulties, they shift this responsibility to HR, who are then held accountable but not given full power to tackle issues that should rest with the CEO, who is the de facto Director of People, whether they like it or not. That the CEO, not HR, is responsible for creating an environment in which the people working in the organisation can thrive. That the Human Resources Director will be retitled Chief of Staff to support and advise the CEO on the measurable improvement in emotional intelligence across the business. That all transactional HR matters – health, safety, employment issues, etc. – are now the responsibility Legal or Finance where appropriate. That’s it. It could happen today. But what if you agree with my view, but feel there isn’t a snowball’s chance in hell of these changes happening in your organisation? My answer: act as if it is happening, and watch small change happen. Posted on August 4, 2016 by Ciaran Fenton. This entry was tagged #smallchange, CEO, Human Assets, Human Capital, leadership. Bookmark the permalink. 1st Class thinking Ciaran. I look forward to Chapter II. In the luxury fashion sector, some Creative Directors are considered as assets transferring value to businesses as they move. No barcodes though and nowhere near any balance sheet!